After a long day of traveling from Segovia to Madrid, then hopping on a train for three hours, we got to the Sagrada Familia, a Basilica in Barcelona. This massive building has been under construction for 131 years. This Basilica is predicted to be finished around 2026. The architect was named Gaudí; his main goal was to make up for people's sins and connect them closer to God. 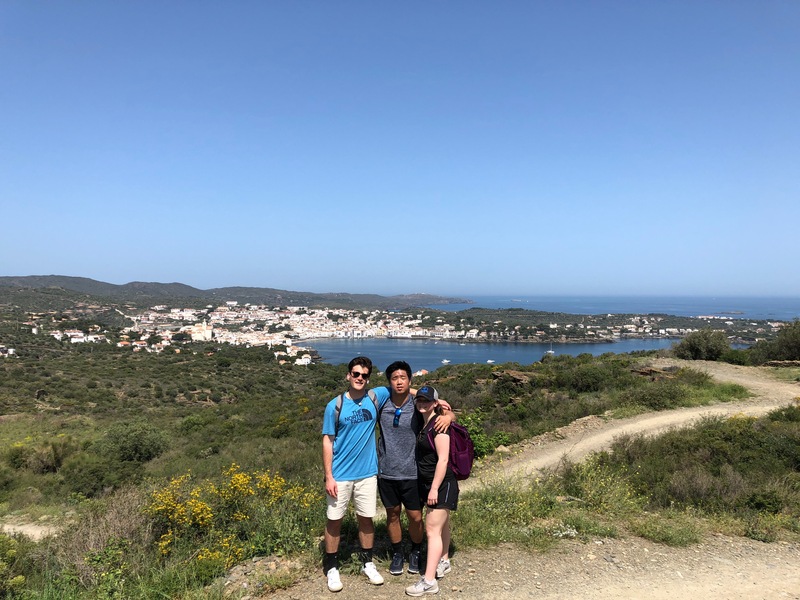 The Camino de Santiago is a trail that starts in France and ends on the Atlantic coast of Galicia. People have never ceased to walk the trail since the discovery of St. James's remains in 812 AD. Historically the path is walked as a pilgrimage to the shrine of Saint James, but now people walk the trail for any number of reasons. 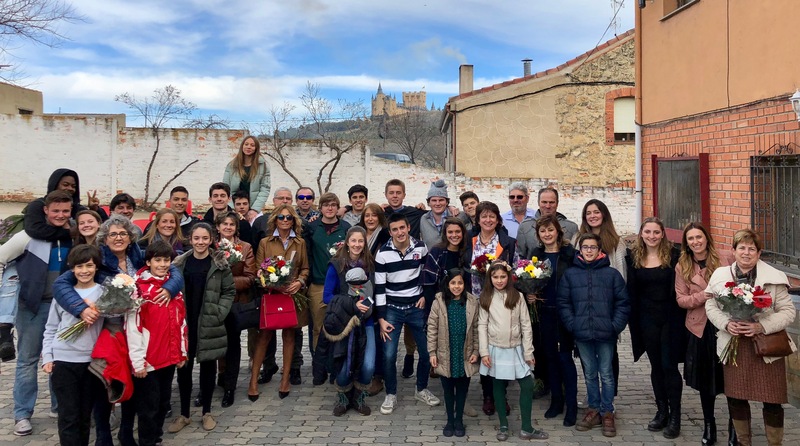 Proctor en Segovia: Ready, Set, Spain! 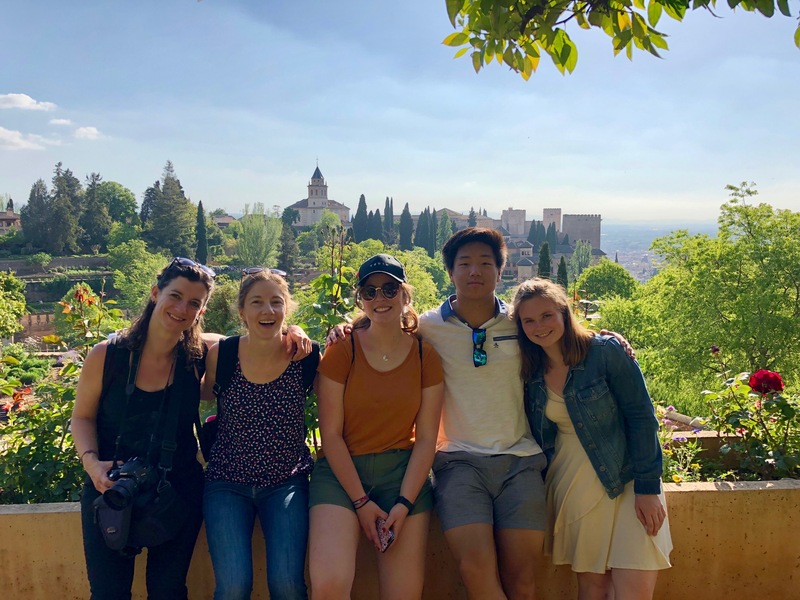 I have just arrived in Spain, and I am about to spend three months immersed in the culture, living with a homestay family, and attending three hours of Spanish class per day. It hasn't really hit me yet. This is going to sound very cliche, but when I arrived in Spain I had no idea how deeply in love I would fall. I enjoyed visiting every city that we went to, but there was something special about Granada. Maybe it was the history, maybe the gelato, maybe it was that I felt more confident speaking Spanish. We departed for Barcelona on Saturday morning, unaware that the Catalan language of Catalonia would surround us. The train ride from Madrid to Barcelona went faster than I had anticipated, but that’s what happens when one’s eyes are constantly stimulated by the beautiful countryside that’s just a glance out the window. 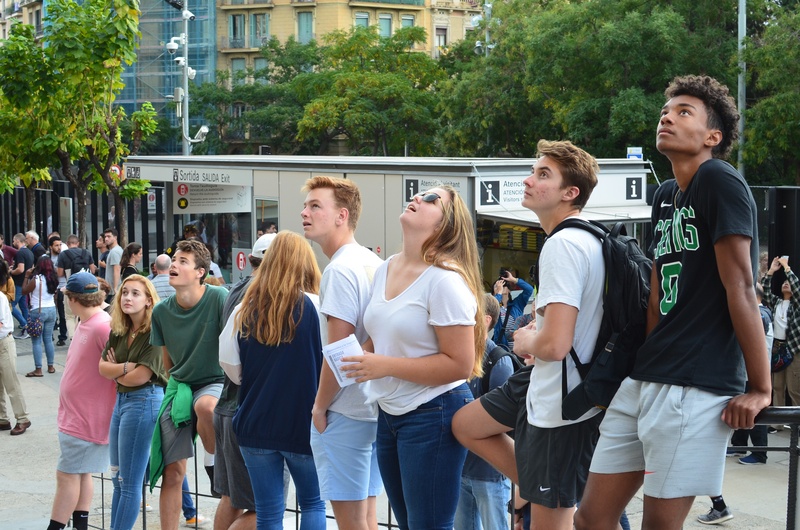 After peering out the window and mentally preparing for our Catalan adventure, we arrived at the train station in Barcelona. Luckily, the weather was amazing in Barcelona; it was sunny and warm, just what we needed for a quick 20 minute walk to our hotel. Our first day in Segovia was tumultuous. We landed early on Tuesday morning in Madrid excited to see Ryan and Mikaela. As most of us did not sleep on the red eye from Boston Logan, it was slightly difficult to be as enthusiastic as they were. To increase our fatigue we were thrown straight into a barrage of Spanish from our host families. Communicating in a mix of English and broken Spanish we tried to convey that we desperately needed a siesta (nap). After this, most of us only woke up for dinner and slept through the night to the following morning. 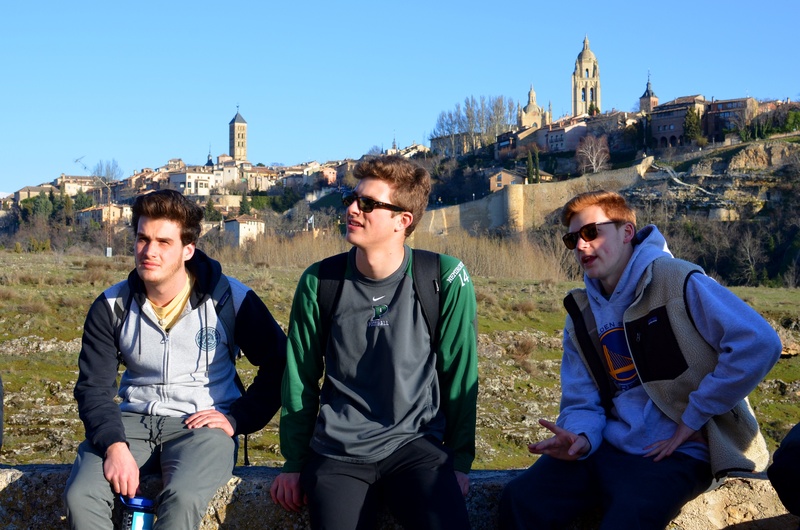 Better rested, but still somewhat disoriented, we all converged at the aqueduct for our first full day in Segovia. Looking up at the ancient Roman water slide the group became excited for our time abroad. 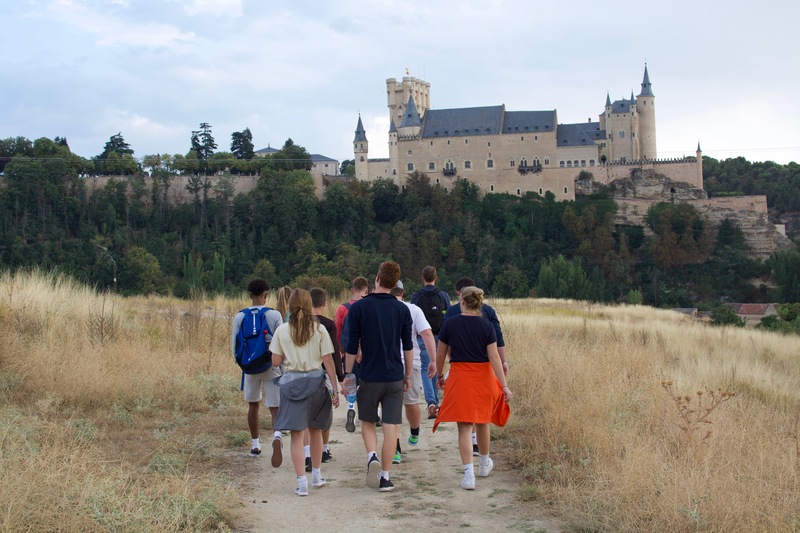 The adventure began as the group embarked on the final excursion to Málaga. We all met up at Segovia’s bus station and from there we made our way to Madrid. When we arrived in Málaga we were greeted by the warm air and ocean breeze. The city was full of light as we were guided through the stone streets to our hotel. On one side there were hundreds of tall beige buildings filled with city life and on the other side was the crystal clear Mediterranean. We arrived at the main train station in Sevilla around two o’clock. From there it was about a half hour walk through the city to our hostel. 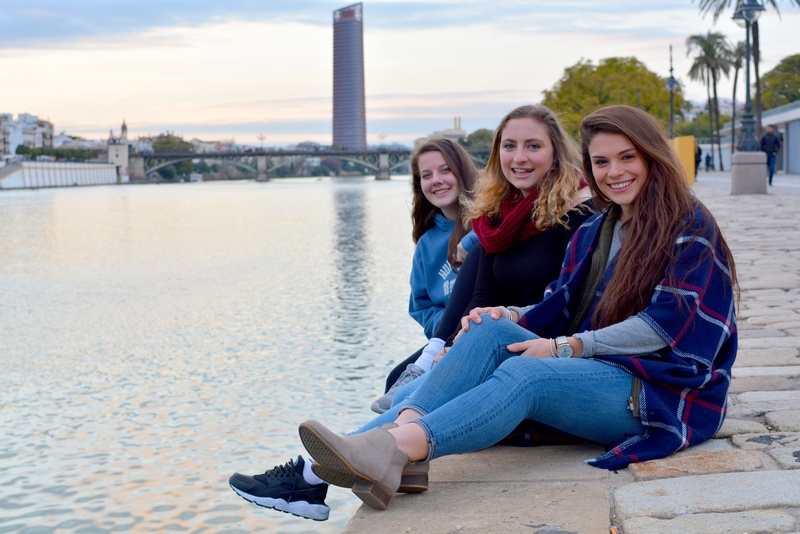 The hostel was in an great location within walking distance of the river, the Alcázar, and the largest Gothic cathedral in the world.